One of the attractions of dining at Fenchurch Restaurant is that, being on the 37th floor of the Walkie Talkie building in London, there are fine views across the capital. You’re free to enjoy the Sky Garden part of the complex on floors 35 & 36 before heading up to the restaurant for dinner. The restaurant itself was classy, yet the atmosphere was relaxed, with very helpful staff. We chose the Rabbit Bolognaise, followed by Loin and sausage of Venison. Both were excellent – a flawless meal, with excellent service and the novelty of views across city. Christopher’s is billed on OpenTable as an American restaurant. Whatever image that conjures up for you (American Diner/MacDonalds?! ), it’s unlikely to be the grandeur that meets you when you dine at 18 Wellington Street, Covent Garden. We had the scallops/tuna tartare for starters, both of which were excellent. We chose steaks for the main course, both were beautiful, with the Scottish fillet having the meatier taste than the New York Strip. However, it was the sweet and sour carrots that stole the show! 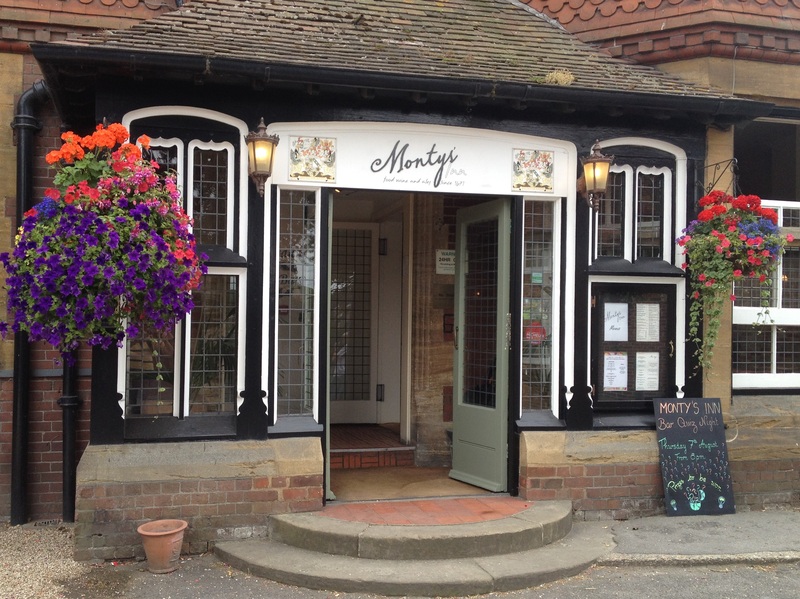 Really enjoyed lunch at Monty’s, part of The Montague Arms Hotel, at Beaulieu in the New Forest. This was my first visit, but will definitely be going back. The sea bass served with saffron potatoes and breaded mussels with caramelised shallot puree was beautifully presented. The chocolate mousse with raspberry sorbet and shortbread was delicious. We walked to Monty’s from Buckler’s Hard, a historical maritime visit – also worth a look. I had a lovely birthday dinner at Clos Maggiore, near Covent Garden in London. This restaurant is one where you have to book long in advance (in my experience, at least a couple of months) – but it was worth the wait. For a romantic occasion, it would be hard to beat the conservatory, with its blossom trees and roaring wood fire. The menu was excellent, and the service impeccable (if slightly arrogant – when I commented to our waiter “It’s a very good menu”, he replied “No, it’s an excellent menu”). Every dish was superb – I can vouch that the braised shoulder of rabbit (starter), the guinea fowl (main) and chocolate fondant were all exceptional. As an extra touch, for my birthday, they piped a suitable greeting on the dessert plate in chocolate (and again for the petit fours with coffee). My colleagues and I had a team dinner at Baltic, near Southwark tube station. The menu has plenty of polish dishes – I had a selection of blinis to start and a roast goose dish to follow. It was a really good meal and I’d recommend the venue (especially if you are a fan of Vodka – they have over 60 from which to choose!). Cigalon is a calm, civilised place to dine amongst the hustle and bustle of London. We had a lovely evening there and will definitely go again.